Introducing the feet-first collaboration that has us dreaming of summer. Summer is so close now we can basically taste it. The air’s getting warmer, holidays are getting closer, and we’re itching to get the suncream out. 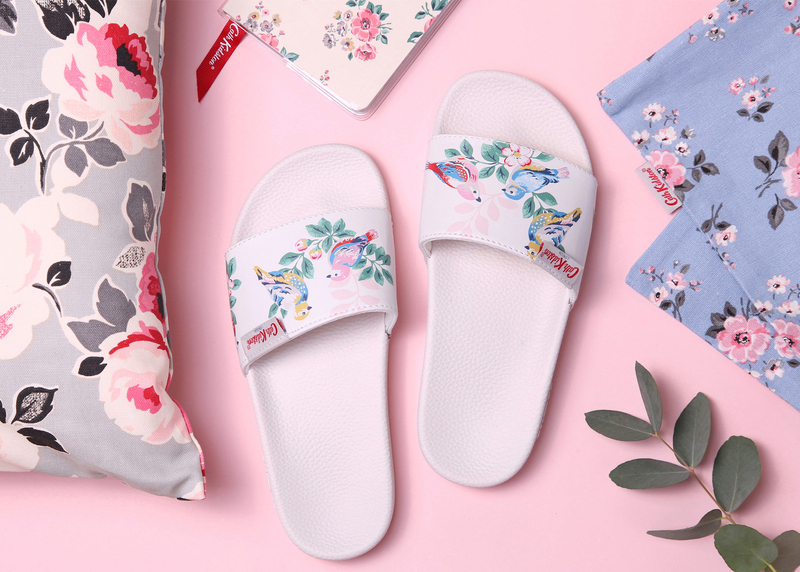 But nothing spells instant hot weather vibes like finally braving bare feet, and if there’s going to be anything to lure us into that kind of vulnerability, it’s the dreamy footwear collaboration with poolside brand Slydes and Cath Kidston. 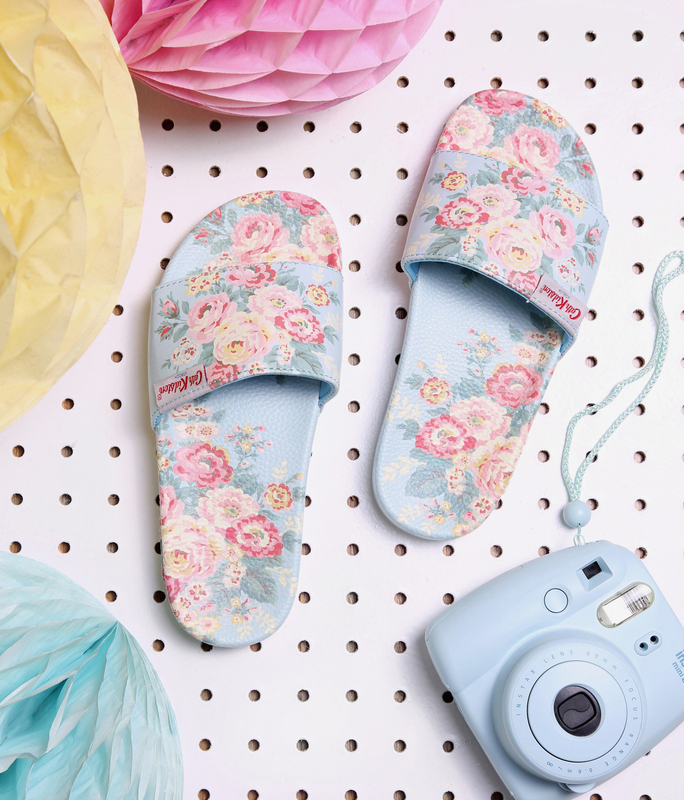 The drop sees iconic prints from well-loved British brand Cath Kidston adorning Slydes’ classic slip-on sandals. There’s Spring Birds in sugary pink, Birds and Berries in white, or the kitsch blue and white Button Spot. There’s no such thing as too many shoes so we’ll be taking all three please.